The neck at the Lower Manoburn dam is considered one of the most dangerous sections of skateable ice in New Zealand. The neck is the connection point between the top and middle basins and because of it’s width, has strong flow of water underneath the ice. 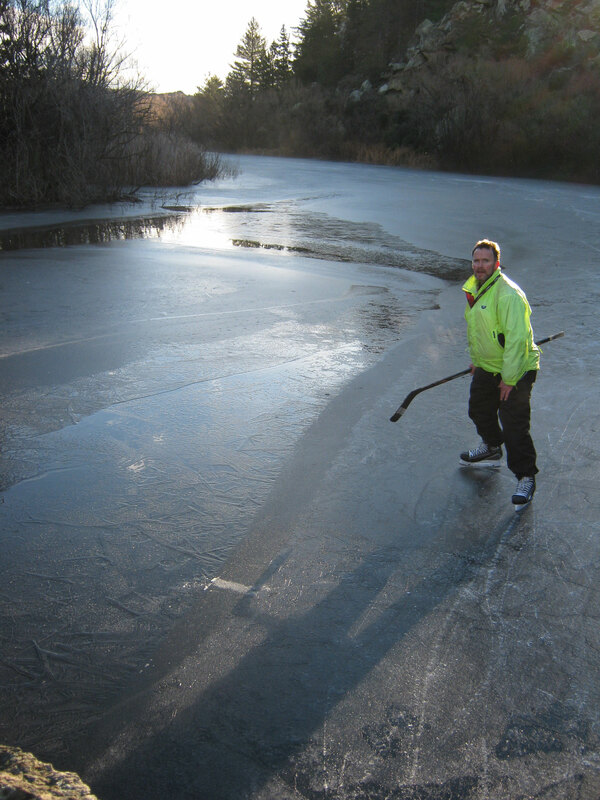 This flow of water both reduces the strength/thickness of the ice and creates a further hazard by potentially pulling anyone who falls in, underneath the ice. The neck as seen from the middle basin. 24th July 2010. Photo courtesy of Ryan Hellyer. The Lower Manoburn dam neck. 24th July 2010. Photo courtesy of Ryan Hellyer. The neck as seen from the top basin. 24th July 2010. Photo courtesy of Ryan Hellyer. It is often possible to safely get close enough to the rock beside the neck to climb over it. This avoids the perilous section between the rock and the cliff face and is a much safer route. There is also a walking track which runs alongside the dam which you can use to access the top basin. It is usually advisable to climb over the rock at the neck rather the skate through it. 24th July 2010. Photo courtesy of Ryan Hellyer. With a 140 mm base on the Middle basin, 80 mm in the bottom basin, many would expect that the neck between the top and middle basins of the Lower Manorburn dam to be plenty safe enough to skate. The following video demonstrates why never to assume the ice in the neck is sufficient to hold your weight. 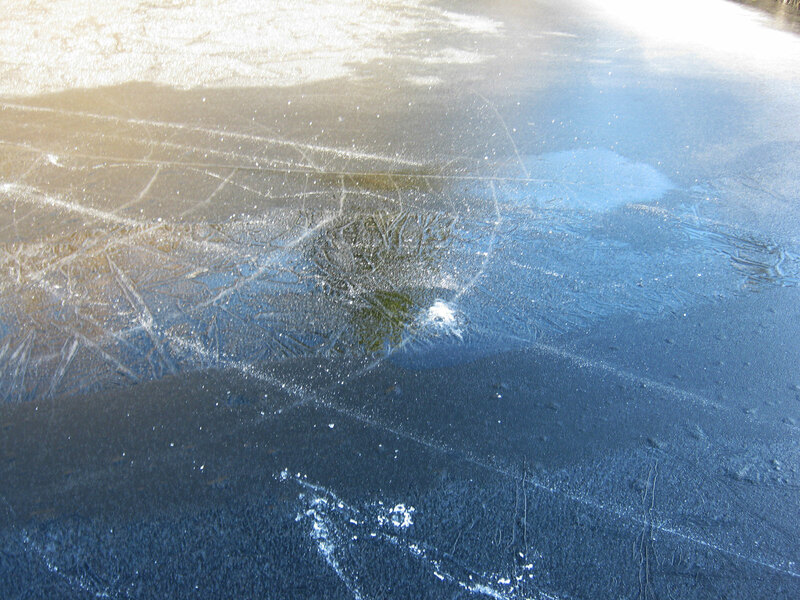 Although the ice did not cave-in entirely, the cracking in concentric circles demonstrated here shows just how close David Patchett was to falling through the ice. Spectators behind the video camera claimed there was at least a 50 mm drop in the ice height as David skated through. Estimates of the ice thickness afterwards revealed a thickness of only 15 mm. David Patchett standing beside the neck immediately after he nearly went through it. 24th July 2010. Photo courtesy of Ryan Hellyer. Concentric circular cracks created on skating through the neck. 24th July 2010. Photo courtesy of Ryan Hellyer.